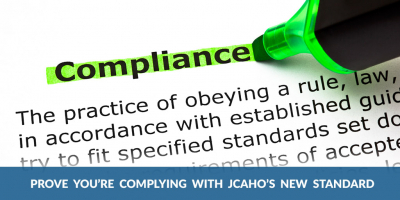 With only 25 days remaining until the Joint Commission outcome measures requirement goes into effect, JCAHO-accredited organizations should be in the final stages of deciding how they’re going to implement patient-reported monitoring. One key factor to consider is how you will show the Joint Commission that you are meeting the standard’s goal of using patient monitoring to inform clinical care. 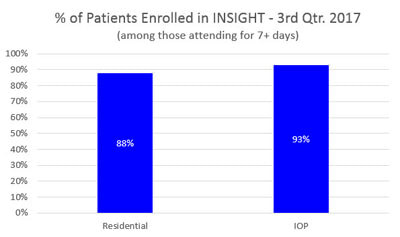 Are most of your patients being enrolled in the monitoring program? Once enrolled, are patients regularly reporting how they’re feeling? Are your clinicians using the data to inform clinical care? Armed with this information, our clients can rectify any oversights and be well on their way to a successful accreditation or reaccreditation survey. 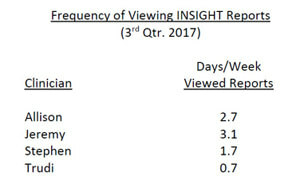 As an example of how useful INSIGHT can be, I recently received a call from a client right after the completion of their Joint Commission reaccreditation interview. The client told me that one of the patients the surveyor randomly selected had reported on an INSIGHT survey that she was having suicidal thoughts with some intention to act on them. The patient’s clinician, having received an INSIGHT alert, took action immediately and documented her response in the electronic medical record. The surveyor was extremely impressed by this demonstration of clinician response, and this set the stage for a very positive meeting. Schedule a demo now or call our friendly research experts at (800) 215-3201 ext. 1. Want to stay abreast of the latest data-driven learnings on improving treatment? We value your privacy and will never share your information with anyone! 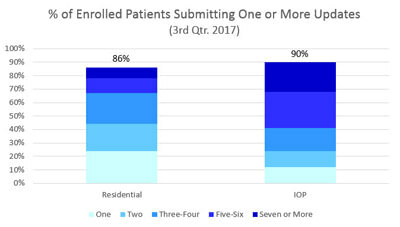 How Do Your Treatment Completion Rates Compare?